Bealtaine Festival 2014 will take place on Sunday April 27th in the grounds of Kinnitty Castle, starting at 2pm. A May bush will be erected on the front lawn. It will be decorated as was the custom in the pre-Christian era, with ribbons, flowers and coloured egg shells carefully saved from Easter. May marked the beginning of the pastoral summer season. Farm animals were put out to pasture and the beginning of the milking season. The belief was that this magic bush would prevent evil people from stealing the butter and cream on which people depended for their livelihood. This family festive afternoon begins with a talk on the history and customs surrounding the May Bush. This will be followed by entertainment in the beautiful surroundings of Kinnity Castle where refreshments will be available. 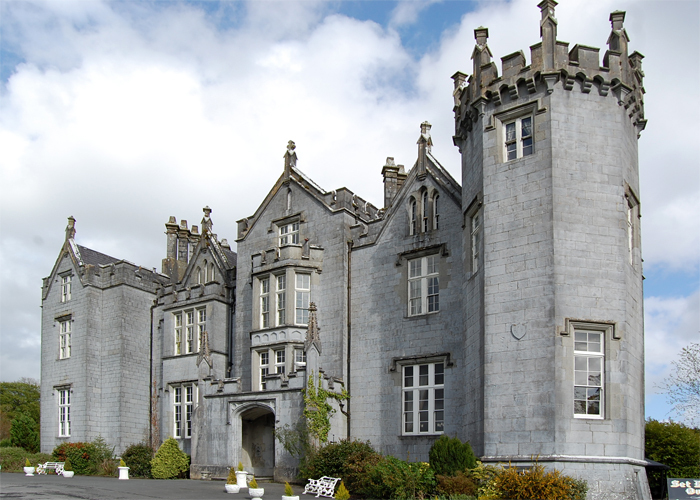 The Slieve Bloom Association extend thanks to the Kinnitty Castle management for their co-operation and help during organising the event. Admission is free and everyone is invited to come along for an afternoon of entertainment with a difference and a warm welcome from the Slieve Bloom Association members. Bring along some decorations for the May Bush.